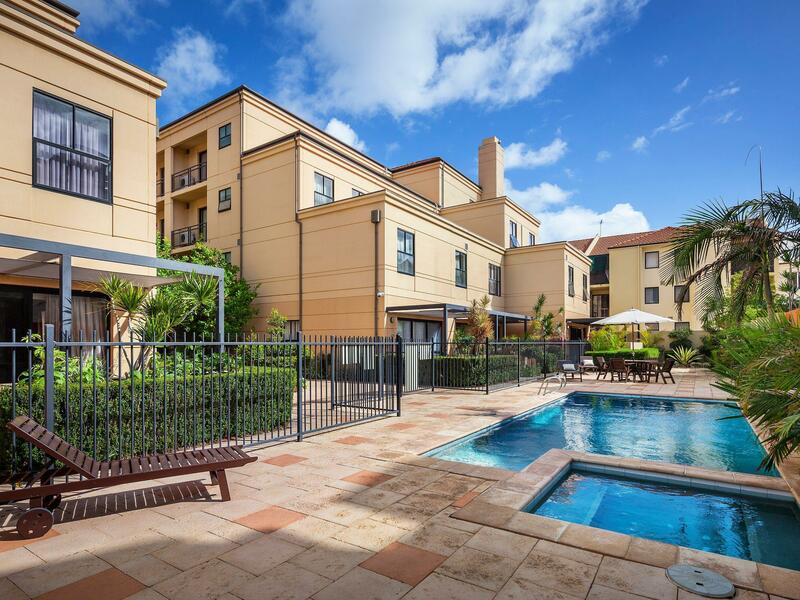 إن فندق Best Western Northbridge Apartments بموقعه الممتاز في هذه المنطقة السياحية هو نقطة انطلاق جيدة لنزهاتك في هذه المدينة المذهلة. يمكن من هنا للضيوف الاستمتاع بسهولة الوصول إلى كل ما تقدمه هذه المدينة النابضة بالحياة. يشكل هذا الفندق ملاذاَ مريحاً للاسترخاء ويمنح زواره فرصة للاستجمام والتجدد، وهو يقع على بعد خطوات من المعالم السياحية الكثيرة للمدينة. 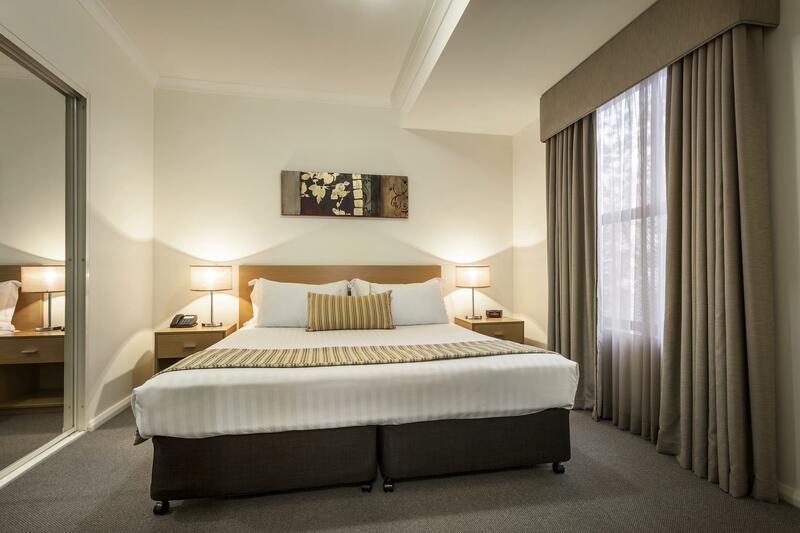 يعمل Best Western Northbridge Apartments على ضمان إقامة مريحة لضيوفه من خلال خدماته الممتازة وحسن ضيافته. يمكن الاستمتاع بمجموعة من الخدمات على أعلى المستويات في الفندق كمثل واي فاي مجاني في جميع الغرف, مرافق مخصصة لذوي الاحتياجات الخاصة, واي فاي في المناطق العامة, صف السيارات, غرفة عائلية. ادخل إلى واحدة من الغرف 44 وتخلص من عناء نهار طويل بمساعدة مجموعة كبيرة من الخدمات كمثل تلفزيون بشاشة مسطحة, سجاد, مواد تنظيف, قهوة فورية مجانية, شاي مجاني الموجودة في بعض الغرف. يقدم الفندق مجموعة واسعة من وسائل الراحة المتنوعة، كمثل: حمام سباحة خارجي, حديقة. إن كنت تتطلع إلى إقامة مريحة وهادئة في المدينة، فستجد في Best Western Northbridge Apartments بيتك الثاني. تتوفر خدمة الاتصال بالإنترنت/الواي فاي غير المحدودة المجانية. تُتاح خدمة انتظار السيارات مجانًا في الموقع بحد أقصى سيارة واحدة لكل غرفة. يرجى ملاحظة أن هناك رسوم بقيمة 1.5% عند قيامك بالدفع ببطاقة ائتمان. Great location - although we parked our car we just used the CAT bus which was just round the corner and walking to Town took only a few minutes. Our room was dark so we had to have lights on all the time even on a bright day, but this did not spoil our stay. The carpet entrance to the 1st floor bathroom was wet. Highlighted to staff and they were responsive to come with towel to lay on the floor and technician came the next day for inspection. Overall pleasant stay. We received an upgrade to a 3 bedder apartment, which was great, although the water heater stopped working after 15 mins. We were told by reception that there shouldn't be an issue, but it happened for 2 nights in a row. 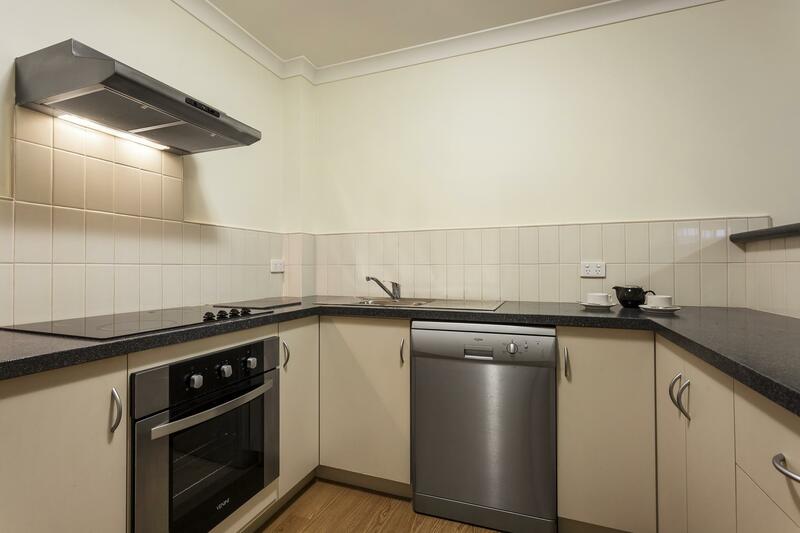 For a 3 bedder which can fit up to 6 people, I would think the water heater should be able to cope for at least 3 shower sessions. On another note, the hotel is on the same street as many restaurants and cafes, it is also close to other restaurants in nearby streets. Walking distance to shopping malls too. We stayed here for a concert at RAC Arena, great location for this purpose. Studio apartment was clean, well equipped and quiet - great when you are from the country and used to peaceful! Good parking was available and easy check in process. All good really. Was in Perth for the Hopman Cup. 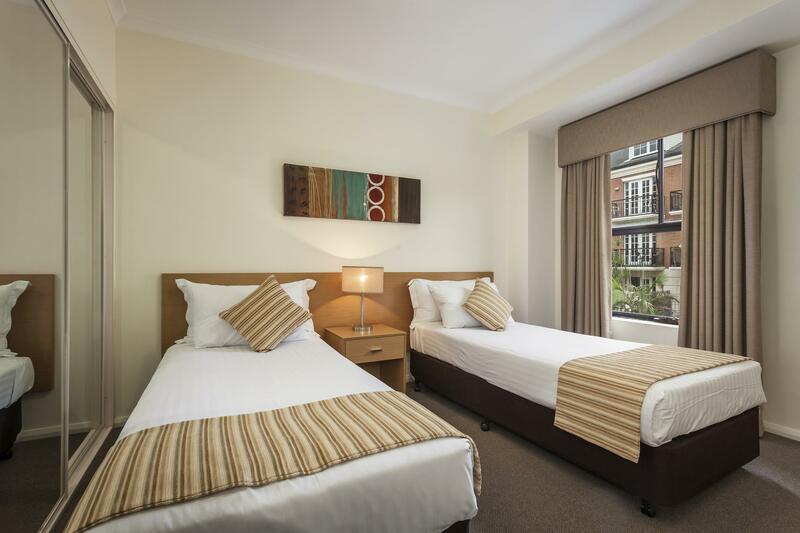 Great location, only short walk to RAC Arena, and Blue CAT bus stop just around the corner. Apartment spacious and well set up. Staff friendly and obliging. Very comfortable and pleasant stay. We stayed here for 8 nights and 9 days. We were happy to walk everywhere because the hotel is on excellent. Despite surrounded by many restaurant and bars, the hotel is very quiet. It is also walking distance to the CBD, river/quay, and DFO for shopping (if you don't mind walking). Blue CAT bus is within reach too. While staff are very friendly and helpful, I'd like to advise the house keeping troupe paying attention more to details. Bathroom and bed were clean and dressed accordingly but floor and carpet need to be cleaned and vacuum thoroughly, not just cleaning up the busy path. Sofa covers are a bit smelly too. Maybe it is time to steam clean sofa covers? It would be also great to line up cushions on the sofa daily for aesthetic and professionalism reasons. I understand there might be a policy of not moving stuff (belonged to clients) around, but a quick wipe out tables & desk daily will help the hotel to maintain quality of cleaness and tidiness. Great place to stay when in Perth. Very friendly staff. I booked 2 bedroom apartment, and they upgraded me to 3 floor town house with 3 bed rooms. Walkable distance to Perth city center. I parked the car at the hotel, and then just use cat bus to go around Perth city. This was such a pleasant surprise. The apartment was clean, spacious and everything worked as it should. The staff were very helpful and efficient, and we really enjoyed our stay. Good Location and the secure parking was a bonus. the room cleaning needs some improvement. we found crumbs under the table on the first day we check in the room. this is an issue for me as i am staying with a toddler that pick up evrything to put in mouth. We booked a 3 bedroom townhouse and only 2 bedrooms had aircon. The third didn’t and our friend refused to stay as it was too hot and went home. Helpful staff & great location! 1 br apt was spacious but double bed not comfy. Booked a 3 br unit n didnt realise its a townhouse. Not convenient for an elderly to climb up n down d stairs. Only upon last day then realised accessible via ground flr. Night duty mgr shd hv advised when i called in to complain.abt d stairway :( Overall will still recommend for its great location thou. 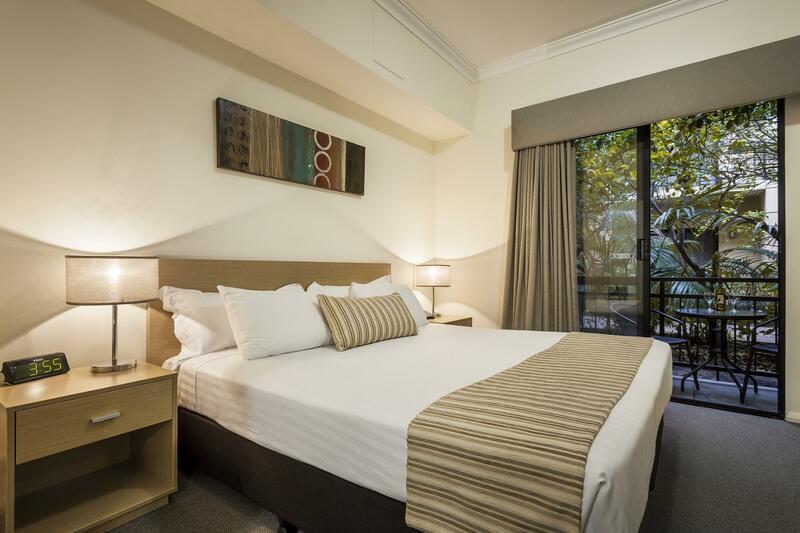 6 friends had a very enjoyable stay at this location for short staycation in Northbridge. We were in walking distance to some very cool cafes and trendy bars and a 10 minute drive to Leederville for Breakfast the next morning. Our 3 bedroom apartment was very spacious and clean. Staffs are helpful and good. There is only one lift in building and unfortunately it broke down when I arrived. During checkout, me and my husband have to carry our luggages down from level 3 by using staircase. One of the staff is kind enough to help us with our luggages. Location is near to Perth city and chinatown. Free secure carpark is available for guests. However, I'm not enjoying my stay. I've actually booked for 2 nights but decided to leave after a night there. Book 5 nights on this apartment. My apartment was on the first floor. On my arrival, it was raining. There was no shelter link to the apartment and the plants along the pavement was Long and obstructing the way. We were all drenched. There were 2 bedrooms on the second floor and one of the third floor. One of the room on the second floor do not have a heater and nobody can sleep there because it was so cold. I have to moved one of the mattress from that room to sleep in another room and was warned by the staff to put that back on my last day else will be a charge for it. Overall, apartment is big enough for big family but during winter, 3 bedrooms will become 2 because of that no heater room, location not bad. Near to bus stop, restaurants, cafe and 24 hours conversation store. Near to freeways which make traveling to the other parts of Perth easy. Staff were helpful and accommodating. Apartment has only a narrow staircase which make it difficult for old person to go to bedroom and also movingnof our luggages. One of the three room is in fact a loft with 2 single bed and no toilet. Only one room has air conditing .There’s no air conditioning in the other two bedrooms. There is no toilet on the ground floor which is inconvenient. You have to climb up to 2nd floor to use the toilet. Avoid staying there in summer as it will be warm and also noisy since the swimming pool is just in front of the apartment.